Come on, it's 2017 already! And Finnish version of Donald Duck comic "Aku Ankka" has made yet another politically incorrect or rather WWII-era-war-propaganda-type-stereotypical depiction of a Japanese character. Why is it inappropriate? If it was a comic meant for adult, then I probably didn't complain. 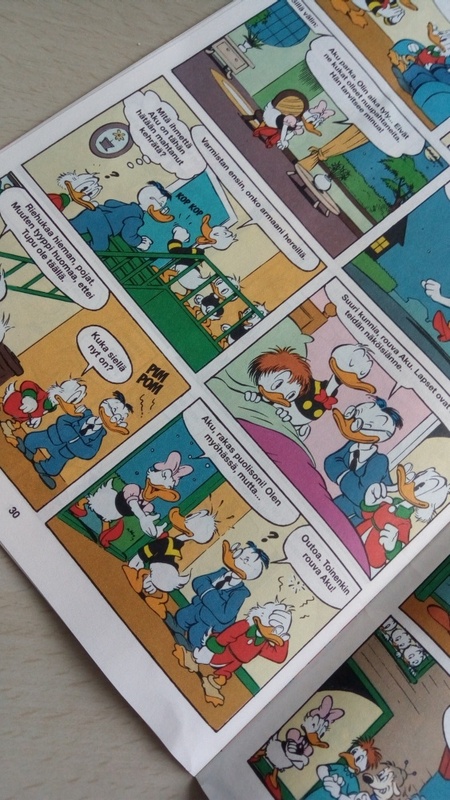 But this weekly Aku Ankka comic in Finland is for everyone, but mainly for small children. 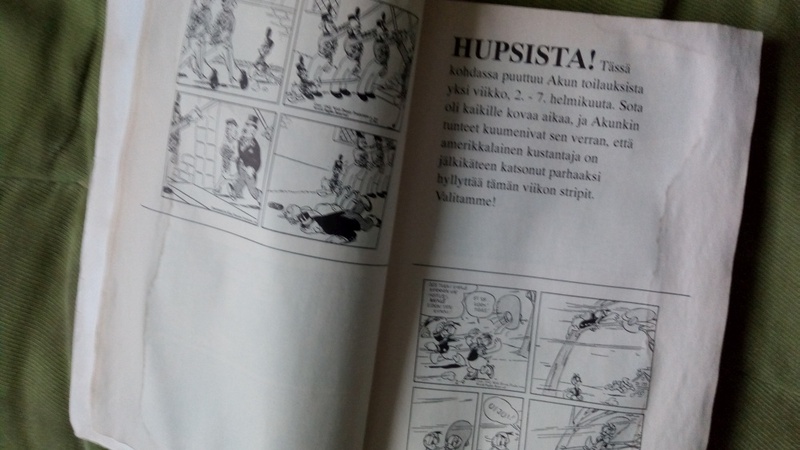 There are many Finnish people who learned to read Finnish language with the series. Aku Ankka is read by many Finnish people, and of course there are many Asian- and Japanese-Finnish children in Finland, unless you are living in a fairly-tale land made by Perussuomalaiset (Finns Party or True Finns, a political party). 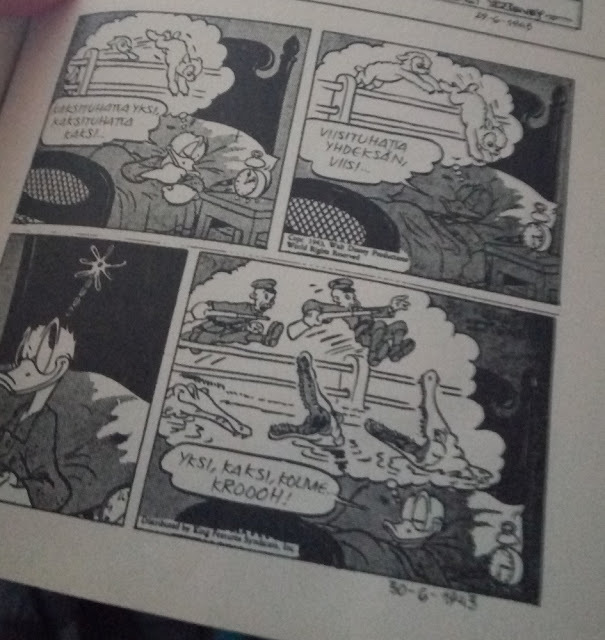 In [Walt Disney Roope-Setä: Saku on pahin]（H 90109, Story by: Evert Geradts, Art by: Mau Heymans）, the story depicted a strangely named friend of Scrooge McDuck, "Kiwi Kowakaveli"*, from Japan visiting Scrooge. Although he greets Scrooge and Donald "Konnichiwa", a greeting word in Japanese, he then starts to tell "In Japan, we do this and that", and some of these are something I've never heard of as a Japanese person. 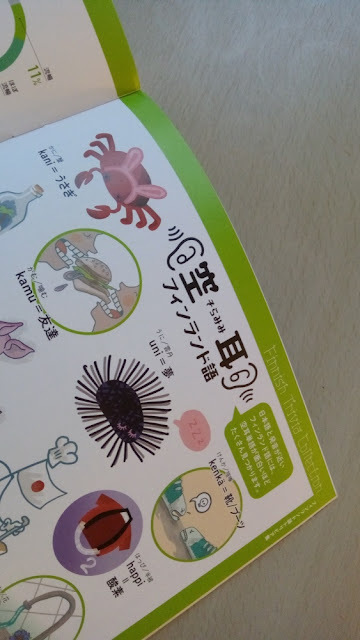 For example, "In Japan, it is an honor to be infected" (by visiting your business partner's house to greet his wife who is infected by a weird disease called "kirahvi-influenssa", giraffe-flu). 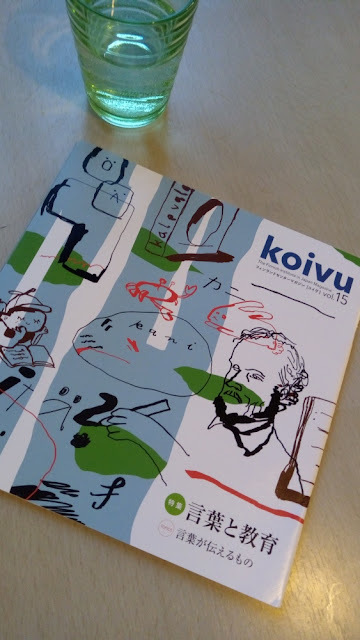 *Kiwi Kowakaveli isn't Japanese name at all, but probably "kivi" (stone), "kova" (hard), "kaveri" (friend, and who doesn't know Japanese often mispronounce R and L), in Finnish. Also, I don't like that Kiwi is depicted as small eyed glassed figure who has his business suit's both sleeves put together (I've never seen anyone like that in Japan, and trust me, I'm Japanese). What this resembles to me is some WWII propaganda illustrations, but maybe without teeth showing from it's mouth, but then again a duck doesn't have any... But we aren't having the World War II anymore! 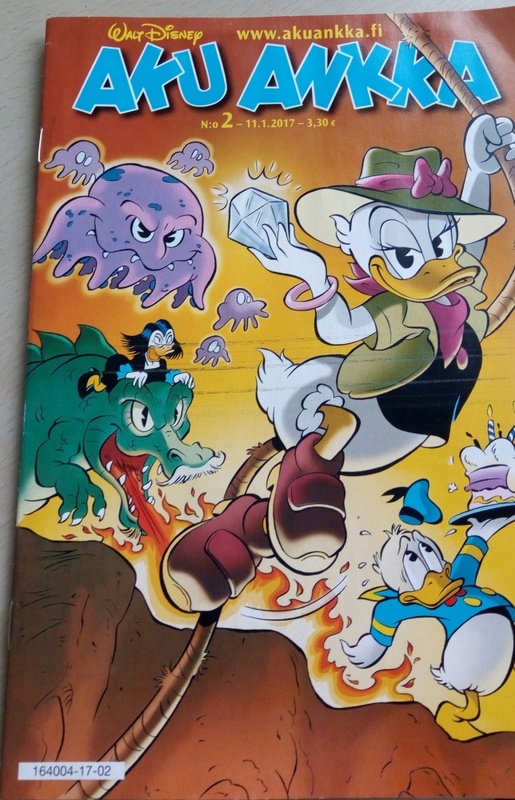 I know in Donald Duck comics in the 40's has depicted Japanese people as enemies, and these comics has also published as "Aku Ankka Päivästä Päivään 194X", but that's a different thing. That's for collectors, that's for historical values (and even then, some pages were blacked out as "Donald was a bit too passionate about the war"). But this Aku Ankka comic I'm talking about is something you subscribe and arrives to your house weekly, with advertisements of video games and a fruit juice brand, clearly its main readers are children. I also know that sometimes in Aku Ankka, there can be a fictional country that has resemblance to a real country, but with different name and stuff. That's something adults can understand as a satire of the particular country. But I don't see this issue depicting a Japanese character as a satire, it's a false information. For children, who is learning about the world, either from school education, books, TV shows, movies, and comics, those materials meant for children, should be provided with a politically correct information. For example, on the same issue of Aku Ankka, it explains about the history of the Finnish flag. 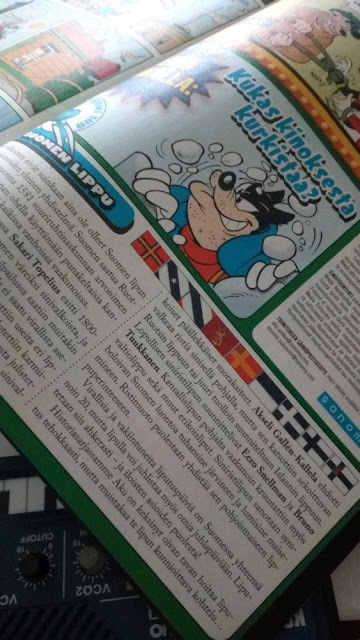 And in the article, it mentions about the cross-shape the flag has as "cross-shape connects it as a Nordic flag tradition" never mentions about religious aspect (here is a hint, Christianity) of it. So the article avoided mentioning about religion, why? Trying to be more political correct, or religiously-aware? Then why not be real-world-aware? Come on Disney!